Ramadan is a pious month of fasting that all Muslims across the globe follow with great enthusiasm. Millions of Muslims abstain themselves from any kind of food and drink from dawn to dusk. Ramadan is the ninth month of the Islamic calendar and this is the holiest month of the year. Fasting is one of the 5 pillars of Islam. This year the month will start from May 26 – June 24. This month is not about just refraining oneself from eating, it is something more than that. One objective of fasting is to feel the suffering of poor and hungry people. While fasting one should keep oneself engaged in prayers and feel the connection to the creator. A person starts the fast before sunrise by taking a wholesome meal which is termed and Suhur and breaks the fast after offering the sunset prayers by eating and this meal is called ‘Iftar’. Ramadan is a time to detach oneself from the worldly pleasures and engage oneself in good deeds and spirituality. During this month one should focus on one’s prayers, recite the holy Quran. During this month a Muslim visit mosque more frequently and for longer hours than any other period of the year. A person should not only abstain oneself from food but also from any bad deeds like cursing someone, backbiting etc. Ramadan is a month of self-exercise. The main objective is to wipe out all tangible and non-tangible toxic things out of your mind, body, and soul. 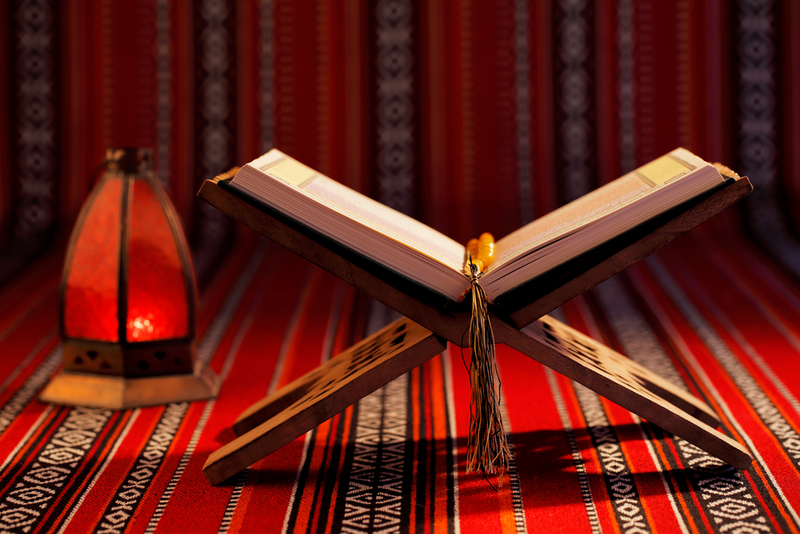 Muslims believe that Quran, a holy book, was revealed to Prophet Mohammed during this holy month of Ramadan. To break the fast, a large sumptuous feast is prepared known as Iftar. It includes an array of foods from fruits to salads, from sweets to roti and rice. Needless to say that it one of the most anticipated meal during the month and people start preparing for it since afternoon. Different countries follow different trend while preparing for Iftar. Across the Arab, juices made from apricot and dates are staples for Iftar. In South – Asia and Turkey yoghurt based drinks are prepared for breaking the fast. Across the globe, Muslims prepare tents and tables to provide free meals to people performing fast during the month. Although fasting is compulsory for every Muslim adult, but there are a few exceptions as well. Old aged people who cannot fast due to their health have the liberty to skip fasts but they have to make it up in the rest of the year before the next Ramada arrives. The same is the provision of pregnant ladies, breastfeeding women, and women in their cycles. During Ramadan people greet each other saying ‘Ramadan Mubarak’. 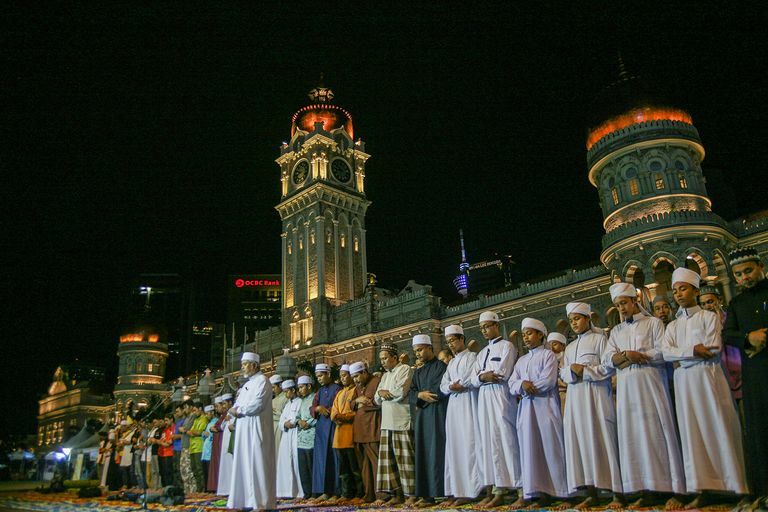 The Sunni Muslims go to mosques at night and offer a special prayer known as ‘Taraweeh’. 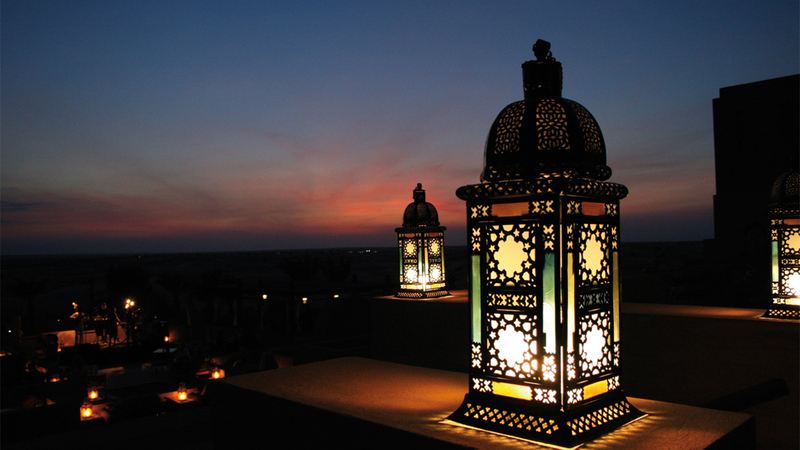 In Egypt, a lantern named ‘fanoos’ can be seen placed on the Iftar table and also hanging on their walls and windows. In Gulf countries, the wealthy sheik conducts majlises and invite people at their place for Iftar and their doors are open overnight for any passer-by for food and water. The end of Ramadan is marked by intense prayers as everyone seek to have their prayers answered during the ‘night of destiny’ or ‘laylatul Qadr’. This night falls in the last 10 days of this month and this night is marked by being awake all night and indulging oneself in prayers. 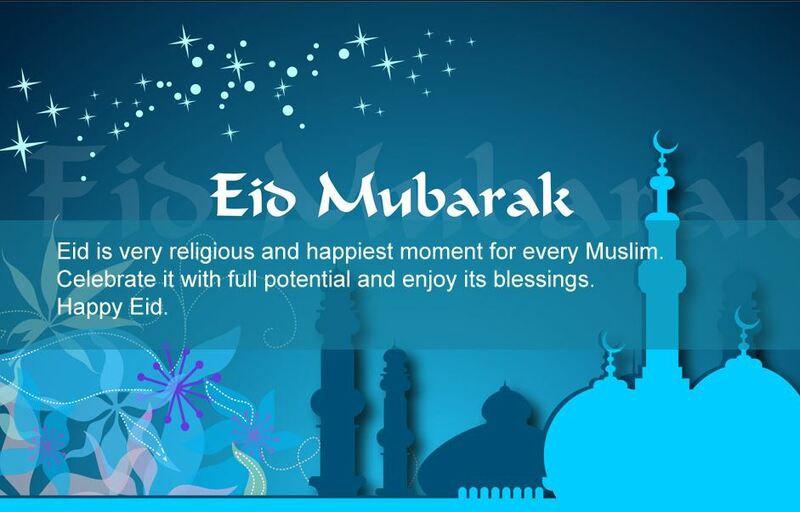 Muslims wrap up this holy month of fast by celebrating Eid. The festival is celebrated with grandeur and celebrations. Children, adults wear new clothes and people visit their relatives and friends and together they celebrate this festival.